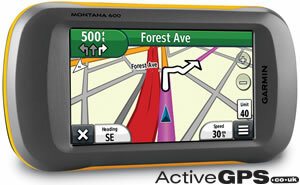 Want to use your Garmin Montana 600 series or Monterra in your car, van, motorhome, etc? You need to buy this genuine Garmin Montana/Monterra auto suction cup mount with speaker which will charge and power your device and provide navigation via spoken directions, thanks to the built-in speaker. Please note: Before using your Montana or Monterra on the road for street-level navigation, you will need to buy and load Garmin City Navigator NT maps available from ActiveGPS on microSD card. Compatibility: Compatible with Garmin Montana 600, 600t, 610, 610t, 650, 650t, 680, 680t and Monterra. Want to mount and power your Garmin Montana 600 series or Monterra on your vehicles windscreen? Then you need to buy this genuine Garmin Montana/Monterra suction cup mount with speaker, which will charger/power your device and provide navigation via voice prompts thanks to the built-in speaker. Thanks to the Montana and Monterra large 4-inch screen and ability to be used in either portrait or landscape mode (as pictured right), both ranges can be used successfully in a car, van or motorhome ro provide street-level navigation*. Please note: *The Montana/Monterra auto suction cup mount kit does not include street-level road maps, therefore to use on the road for sat nav navigation, you will need to already have or purchase and install Garmin City Navigator NT maps available here. The auto suction cup mount includes everything you need (except the mapping) to take your Montana 600/610/650/680 or Monterra on the road and mount on your vehicle windscreen. Included is a suction cup, mount with built-in speaker (for navigation prompts) and vehicle power cable. Please note: We also sell a separate vehicle power cable, this though is NOT the same as in this pack. The car charger sold separately plugs directly into the Montana, whereas the power cable with this auto suction cup mount plugs directly into the mount cradle, which then supplies power to your Montana. If you require a replacement charger for this auto suction cup mount only click here. What is the auto suction cup mount compatible with? Garmin Montana 600, 600t, 610, 610t, 650, 650t, 680, 680t and Monterra. Please note: Due to the size and weight of the Garmin GPSMAP 276Cx it is not compatible for use with the Garmin Auto Suction Cup Mount. 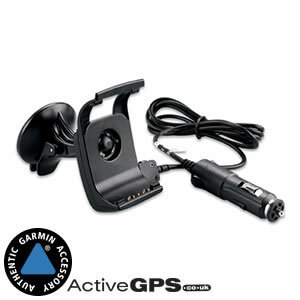 If you own the Garmin GPSMAP 276Cx and would like to use in car with a speaker, you need to buy the Garmin Auto Friction Mount Kit with Speaker. Was it another Garmin Montana or Monterra accessory, part or map update? If it was click the following links to find your models accessories or maps. Alternatively if you have a question about the Montana/Monterra auto suction cup mount our contact page is the place to go to ask us a question.